Ruby series is equipped with two cockpits, providing moulded arm and back support. Drop-In installation ensures that whirlpool bathtub will fit into various styles of bathroom settings. Increased height of side edges creates additional support, while adding comfort. The Prescott Acrylic Jet Air model has all the convenient features of the Prescott soaker and features the Mirolin Jet Air<sup></sup> system. The Jet Air<sup></sup> system features strategically positioned air jets that create thousands of relaxing air bubbles that caress and stimulate the senses. Every Jet Air<sup></sup> system comes complete with a convenient bath-mounted electronic control pad to adjust the speed and rate of pulsation.. Left or right is determined by plumbing. Tub only, accessories and waste and overflow not included. Agate freestanding series features contemporary elliptical design, increasing the inner length of the bathtub. Slight side inset of the side edge adds a sense of modern design, which will compliment bath and sauna rooms of various settings and styles. 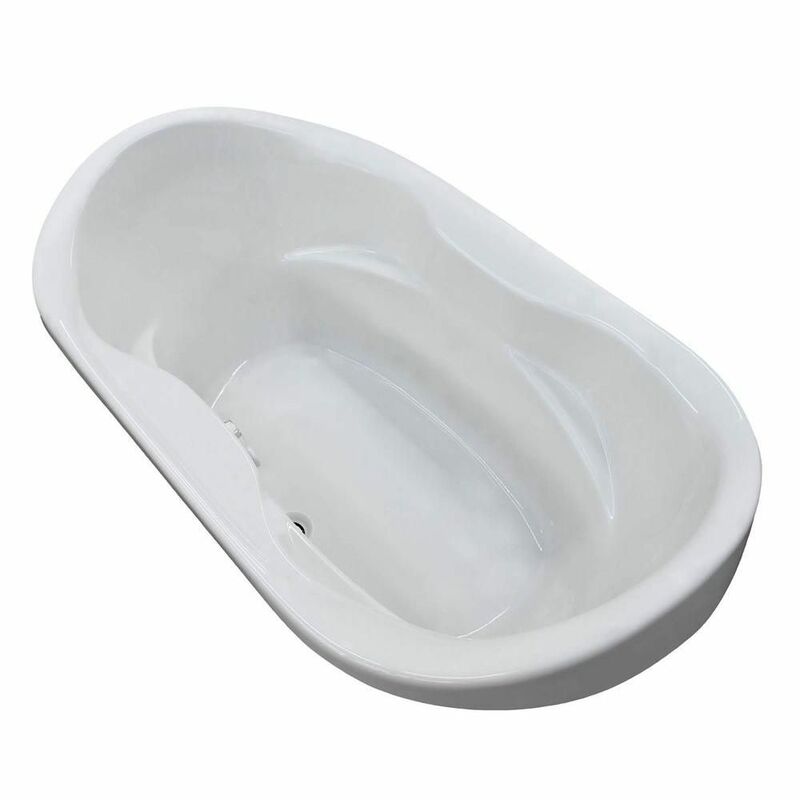 Ruby 6 Feet Acrylic Oval Drop-in Non Whirlpool Bathtub in White Ruby series is equipped with two cockpits, providing moulded arm and back support. Drop-In installation ensures that whirlpool bathtub will fit into various styles of bathroom settings. Increased height of side edges creates additional support, while adding comfort.